Timing is everything when you need to plan a big event. Often, families wait until after death before beginning the funeral planning process. But, you can save yourself quite a bit of stress and worry if you start planning a funeral before death occurs. 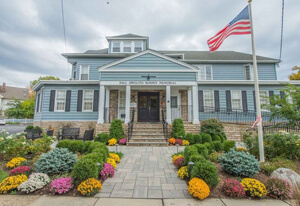 Preplanning is a great solution to ensure that everything is in place when you need funeral and cremation services in Long Hill Township, NJ. 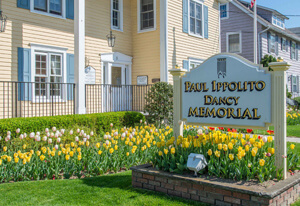 At Paul Ippolito Memorial, we are here to offer the assistance and support that you need during every phase of funeral planning. Whether you are facing an unexpected death in the family and you need these services right away, or you are thinking about the future, we are always available to help. Our goal is to alleviate your worries during this time of grief and sadness. Rest assured to know that we are leading the industry with the best services that are available in the area. Preplanning is always the right answer so that you can reduce the burden after a loved one passes away. When a funeral is preplanned, it means that the details and big decisions have already been finalized. Our team holds this information on file, ensuring that everything will match the desired plan when the funeral is scheduled. Some people start the preplanning process when they are in poor health, knowing that a funeral will be scheduled soon. Other people don’t want to wait until the last minute, so they work through the details while they are in good health. Even if you anticipate to enjoy many more years before a funeral is needed, it can bring peace of mind to know that your funeral plan is already in place. If you are interested in preplanning for funeral and cremation in Long Hill Township, NJ, then there are several options to get started. You are welcome to call to schedule an appointment or visit our funeral home to talk to someone in person. Another solution is to use our website for online planning purposes. We provide information about the full range of services that are offered. Additionally, we have an online tool that is easy to use, making it simple to design a funeral based on your preferences. No matter your preferences for the funeral or memorial, you can have the peace of mind to know that our team is always here to assist. In addition to traditional funeral services, we also provide other options such as a Celebration of Life or cremation. You will see that our team respects every family, regardless of religion, relationship, lifestyle, and background. 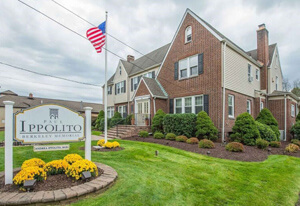 What is the advantage of choosing Paul Ippolito Memorial instead of the other funeral companies in the area? We are a family-owned business that maintains the focus on the people that we serve. You can expect undivided attention and caring support from our team. Our exceptional service is designed to create real relationships with the families who need assistance with funeral or cremation planning. We provide more than standard funeral services. In addition to the typical offerings, we are always looking for ways to personalize the event based on the requests of the family. The facilities that we offer are maintained to ensure a comfortable environment for everyone in attendance. In addition to the large parking areas and handicapped accessibility, we can offer both small and large rooms depending on the size of your group. Not only do we have the facilities to host funerals, memorials, and viewings, but we can also provide the support staff required if you choose a funeral at an off-site location. We have worked hard to build solid relationships with the organizations and churches in the community. Other unique offerings available from Paul Ippolito Memorial include the horse-drawn carriages, personalized printing, dove releases, tribute videos, and more. We pay attention to the details to create a day that will be memorable for friends and family. If you are ready for more information about funeral services, then our team is always here to assist. We are always on call with a promise to provide the support that is required in your time of need, regardless of the day or hour. Not only do we offer preplanning services, but we are ready to help for immediate services as well.